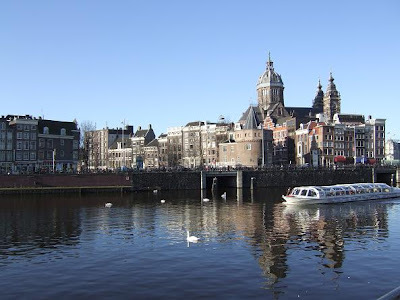 The Rijksmuseum in Amsterdam is the largest museum in the Netherlands. 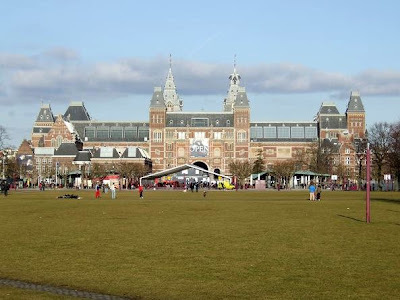 It is located on the Museumplein close to the Stedelijk Museum of Modern Art and the Van Gogh Museum. 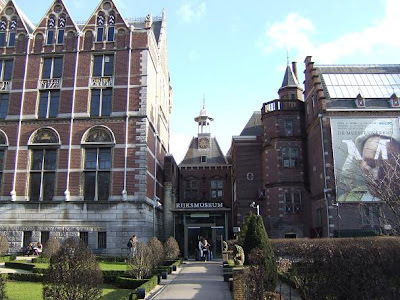 The Rijksmuseum has many masterpieces on display, including "The Night Watch" by Rembrandt and "The Milkmaid" by Johannes Vermeer. 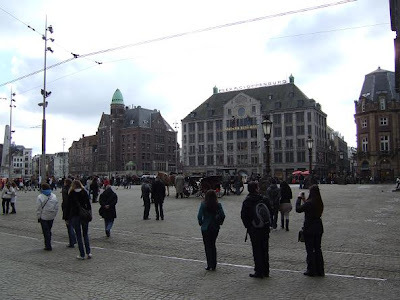 The Dam square is the main square of Amsterdam, it lies in the historical center of the city. 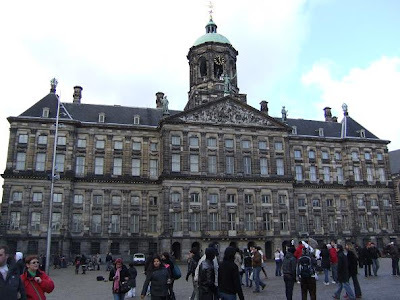 It is surrounded by beautiful buildings like the Royal Palace(1st photo) the Nieuwe Kerk(3rd photo) and Madame Tussauds(last photo). 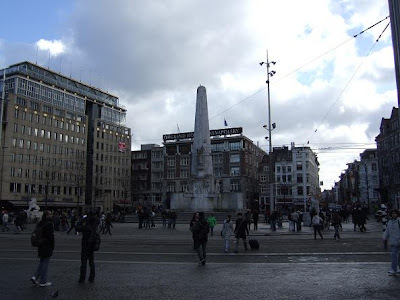 The white column you see on the second photo is called the National Monument, this was erected to honor the victims of World War 2. 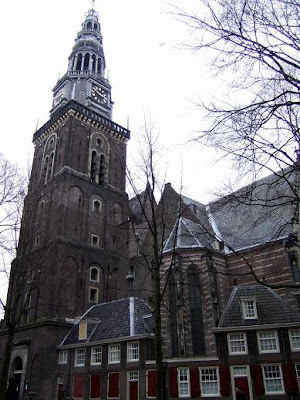 The Oude Kerk(Old Church) is the oldest remaining building in Amsterdam. It was constructed in the 13th century in Gothic style. 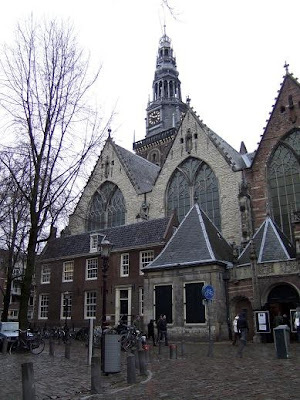 The church was principally Chatolic, but after the reformation in 1578 is was adopted by the protestants. 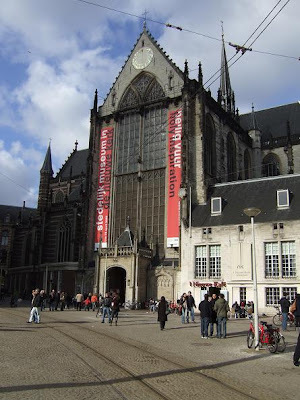 The Oude Kerk is located in De Wallen, the main red-light district in Amsterdam. 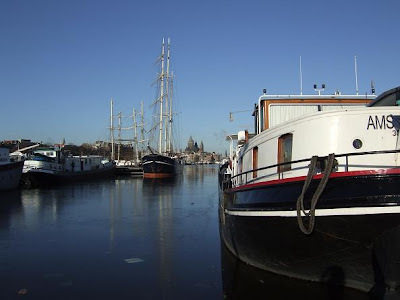 The Oosterdok are the docks in the east of Amsterdam. 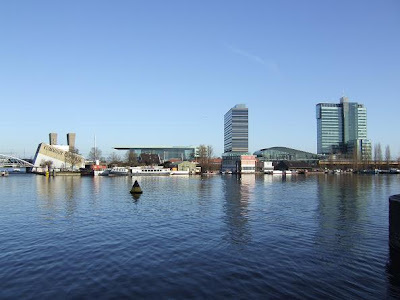 It's a beautiful area for a walk and you can find here also the NEMO (National Center for Science and Technology) and the VOC-Ship Amsterdam. 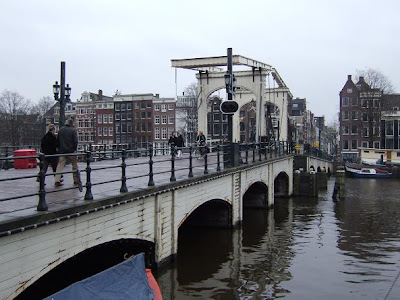 The Magere Brug(skinny bridge) in Amsterdam is the most popular and photographed bridge of the city. 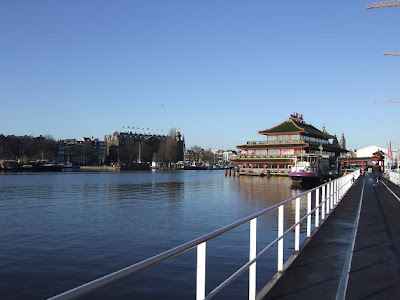 It crosses the Amstel river between Keizersgracht and Prinsengracht. 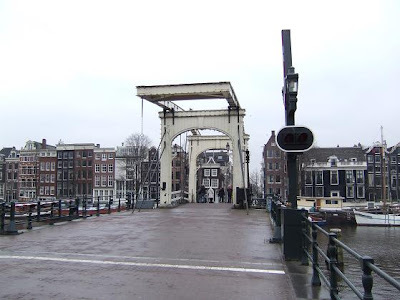 It is called the skinny bridge because it used to be so narrow that it was hard for two pedestrians to pass each other. 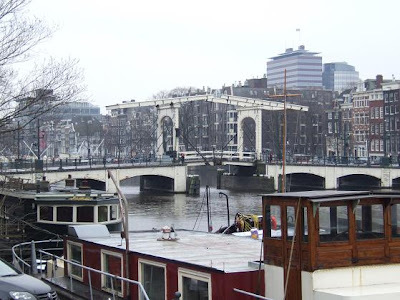 The original bridge was replaced by a wider bridge in 1871 but its nickname "Skinny Bridge" stayed. 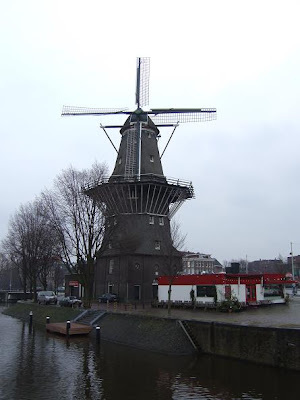 De Gooyer windmill in Amsterdam is one of the 6 windmills that are still left in the city. 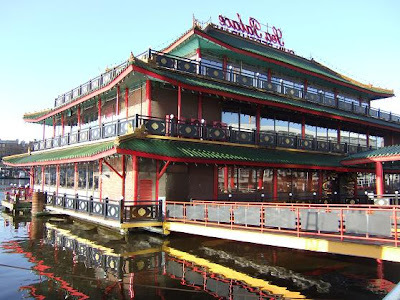 It was moved to its current position in 1814 when barracks built in 1811 obstructed the wind. 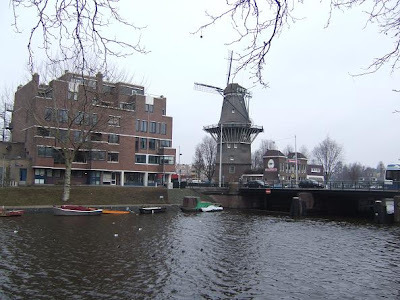 The city of Amsterdam purchased the mill and restored it in 1929-1930. A storm in 1972 caused severe damage to the windmill, after a renovation it was again operational in 1976. 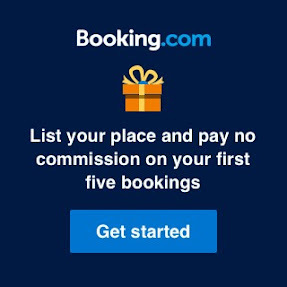 The mill is still used from time to time and you can also find now a beer brewery in here. 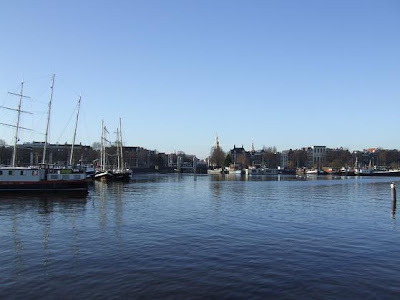 It is situated at Funenkade 5, close to the historic centre of the city.